Have you laid awake at night wondering what would happen if your company’s network, firewall or data was compromised? If so, you’re not alone. Many CEOs, CFOs and executives in charge of IT security realize the money, time and credibility that could be lost in the case of compromised security. How would your top three customers react if you could not serve them as normal for a few days because you were hacked and the computer network stops working? How much revenue would you lose if one of these top three found another supplier? How would this affect internal morale, confidence and your sales people? How long would it take (and at how much cost) to replace one of your major customers? What will be the consequences if there is a security breach and you release confidential information to competitors, identity thieves, etc? If we get the accounting audited every year, and we are so dependent upon our IT system, shouldn’t we have the IT security reviewed at least once a year by an independent third party? Normally, you rely on your IT professionals to keep your network safe. Unfortunately, IT is such a big world these days, your IT professionals may not be aware of new security threats and IT best practices to keep your network, firewall and data safe, which could cost you millions..
Vital Systems Review Specialist Mike Foster, CEH, CISA, CISSP, has discovered that 90% of companies he does IT security reviews and audits for have at least one major security bleeding artery. . Often, those were the companies where the IT professionals stressed that no vulnerabilities would be found. What sets our IT systems security reviews and audits apart from other organizations performing reviews is very simple. Other security firms tend to perform a vulnerability assessment or penetration test and then send a long list of what they found. While that is useful, it doesn’t help your IT professionals learn and grow as much as it could in their ability to keep you and your company safe. Stays with your organization and helps your IT professionals take the steps to protect your network now and in the future. 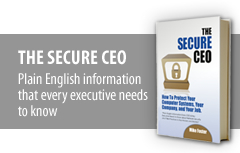 Gives you 12 months of access to Mike, a trained security specialist and published author with 20 years of experience who has the ability to communicate effectively with IT professionals as well as top level executives. Ensures Mike will spend time with your IT team, mentoring them and answering the questions they’ve always had about IT security strategies. It’s a lot like them getting their own personalized IT security course! for your council and we will surely be in touch again. The entire experience of working with you turned out much better than the experience I’d had with previous providers, thanks in large part to your thorough understanding of our business. The fact that you already knew what we did and how our operations worked made all the difference. You met and surpassed all of my expectations. He did an amazing job for us in a short amount of time. Mike showed us a new perspective and got us thinking of solutions in ways we hadn’t thought of before. His detailed security audit was amazing and his response time to our needs was excellent. Mike exceeded just about all of our expectations! Working with Mike was a terrific experience, and he helped us a lot. 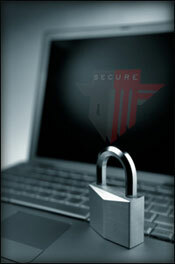 (707) 200-2095 to find out more about an IT security review and audit!